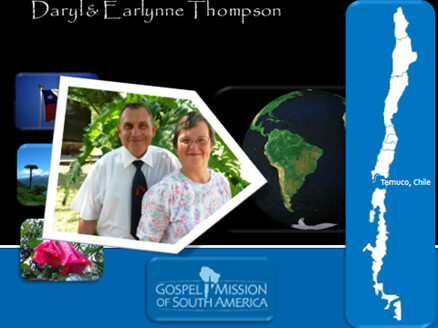 Daryl and Earlynne have been with GMSA since 1969. They arrived in Chile after a year of language school in August of 1970. They have have been involved in church planting, eleven years in camp ministry, Daryl served one term as Field Director, and they are presently both teaching in the Bible Institute in Temuco, Chile. Daryl was filling a dual role as director and administrator at the Institute.